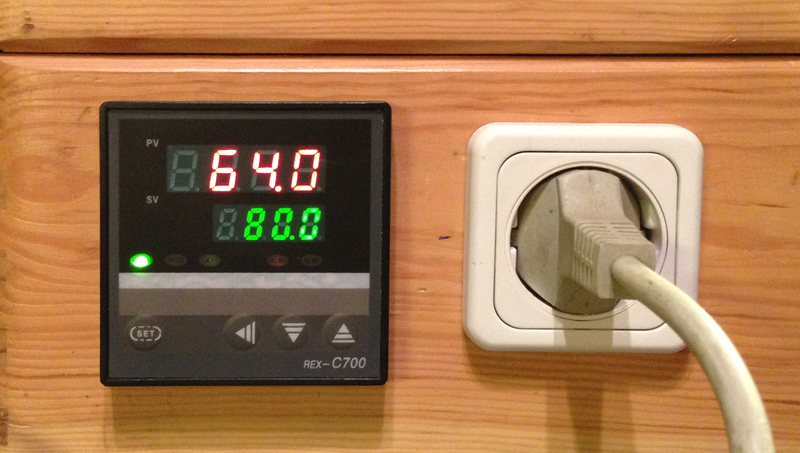 I bought a temperature controller and a temperature probe from DealExtreme to control the temperature of a water filled pot. After using the controller for some time only with floating wiring I decided that it was time to mounted it into a proper case (As for myself an absolutely unsafe wooden box with mains voltage inside is okay). The pictures don’t need much description. The BOM is at the bottom of this page. 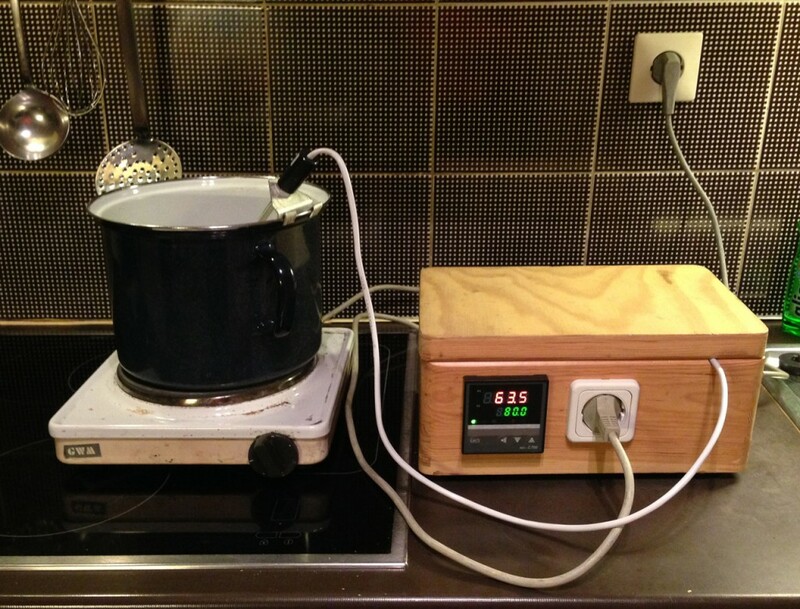 This setup can be used to cook meat, make nice breakfast eggs, soften wax (used when modelmaking things with wax) and (very important) cook perfect Weisswürste!